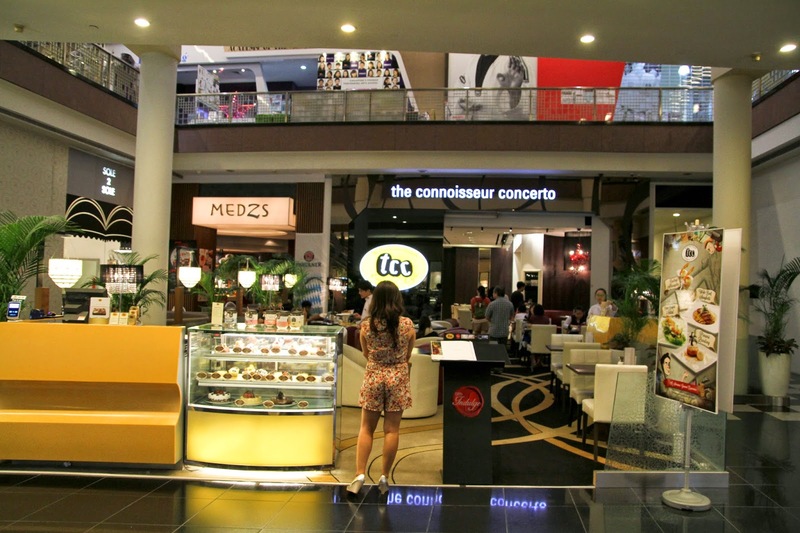 I know many foodies would avoid chain cafes such as The Connoisseur Concerto as they seem to lack "uniqueness". 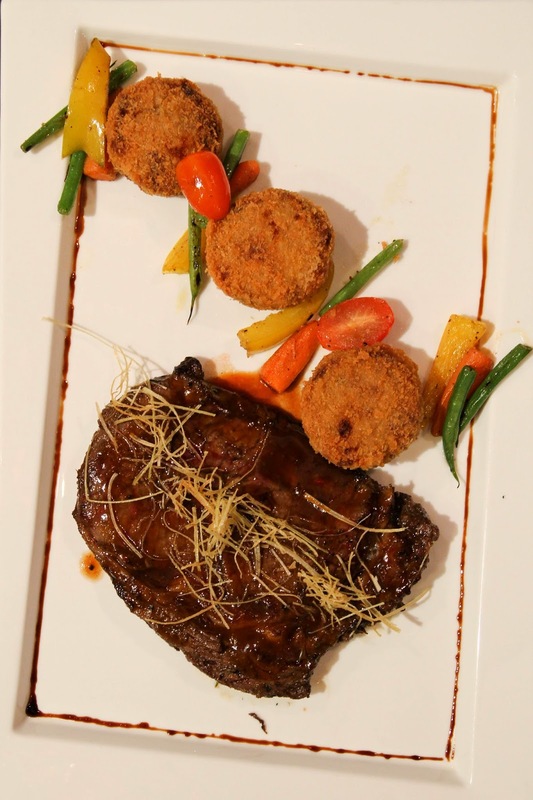 Rest assured, The Connoisseur Concerto has an extensive menu that would satisfy your taste buds. 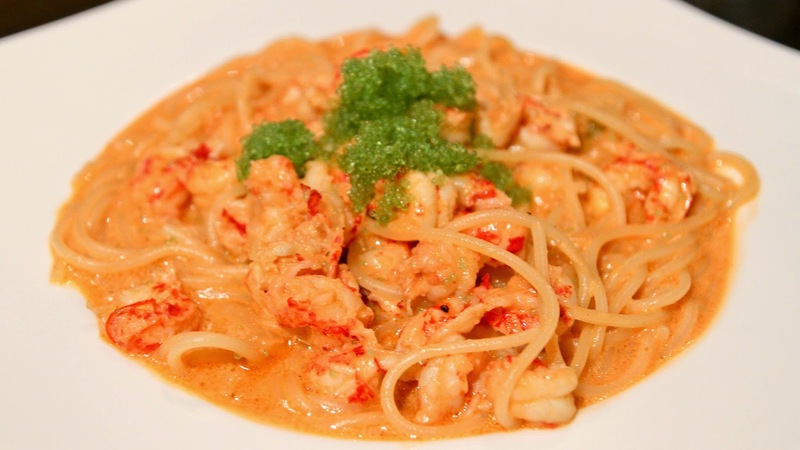 I would strongly recommend the Seafood Aglio Olio. Aglio Olio ("spaghetti with garlic and oil" in Italian) is a traditional Italian pasta dish, said to originate traditionally from the region of Abruzzo, although it is popular across the country. 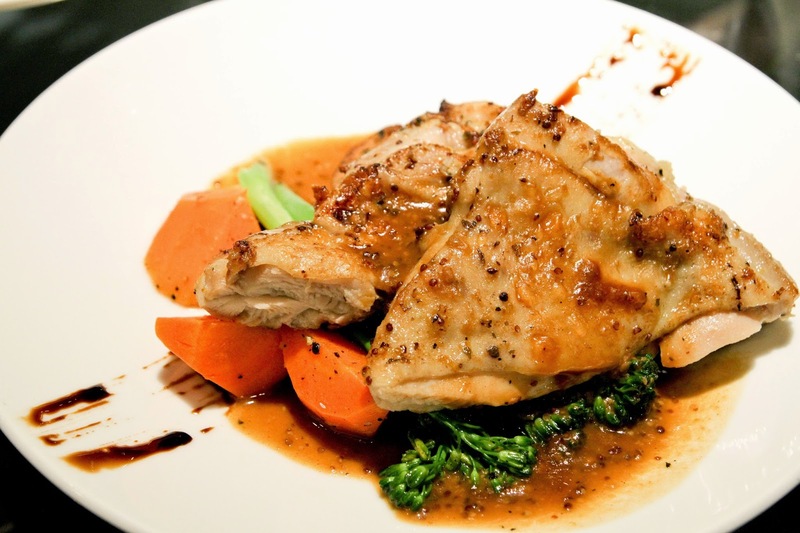 The dish is made by lightly sauteeing minced or pressed garlic in olive oil. Curious to know more? More interesting facts given at the end of the post! A major plus point is that you will be seated by the staff. Important when you are having a large group looking for a place to have tea! However, service may be slow. 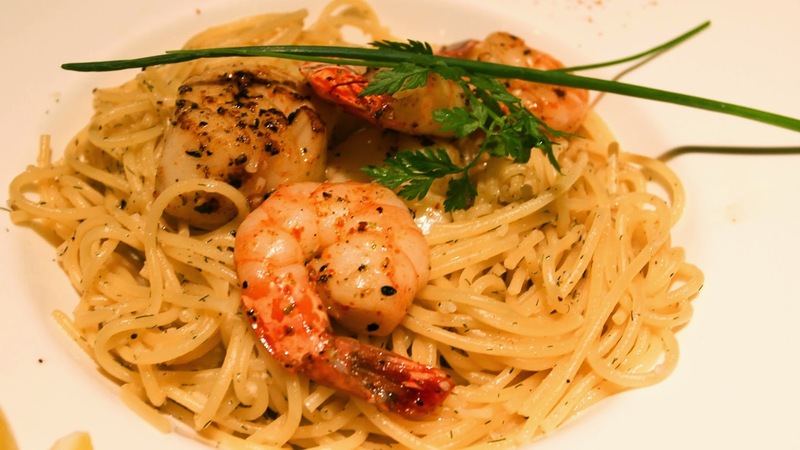 The Seafood Aglio Olio is mild tasting but the scallops and prawns are cooked to perfection! Great for those seafood lovers! You will be asked for the doneness of the salmon. 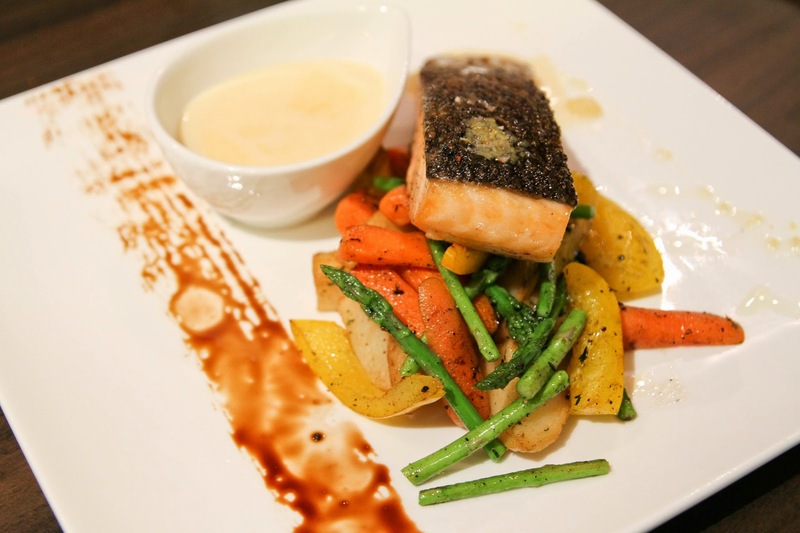 Fragrant white wine sauce complement the vegetables, such as the asparagus and new potatoes. 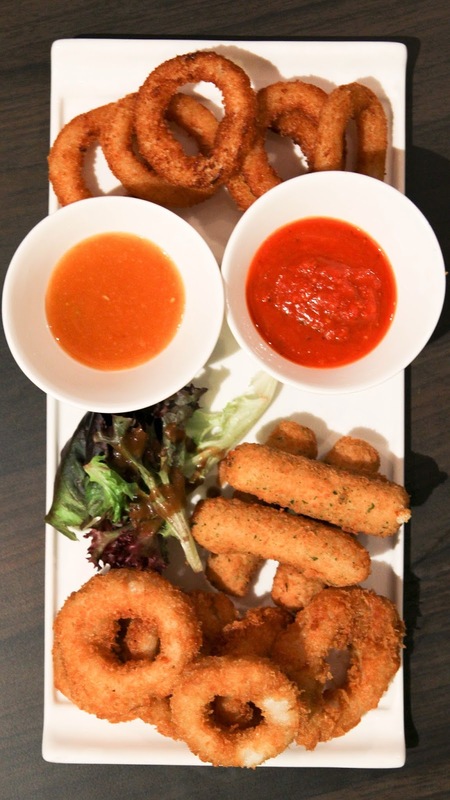 For the Deluxe Snack Planner, the mozza sticks will leave you craving for MORE! The onion rings and calamari worked well with the tomato puree and tangy citrus sauce. The fish was fresh and well grilled. However, the sauce was ordinary while the portion is petite. Other than the presentation and the sides which were nice. The espresso barbecue sauce was overwhelming, masking the beef flavour. 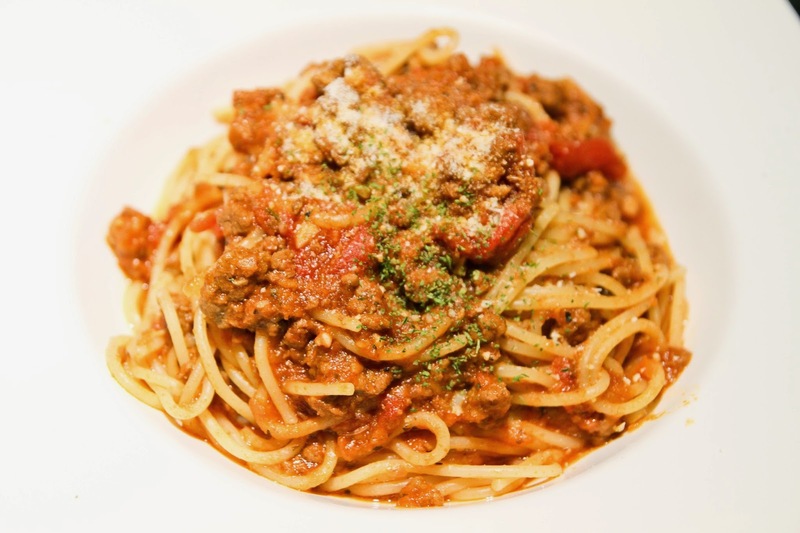 The spaghetti was al dente but was lacking of the x-factor. The chicken thigh was tender and moist. 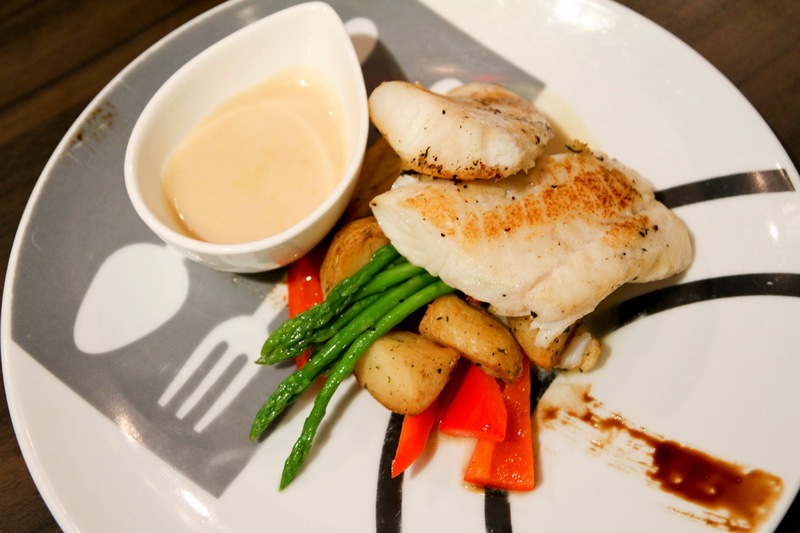 The whole grain mustard sauce was savoury, with bits of pepper spices floating in the sauce. Unfortunately, it was not spicy. 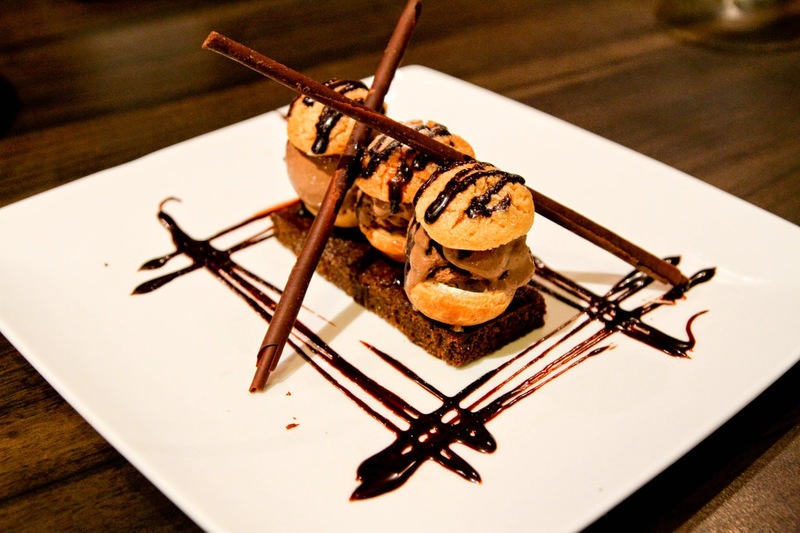 Profiteroles filled with chocolate ice-cream stacked on a brownie base. Petite size but great for sharing when you are full! - They have nice tea time sets which I would blog in a later post. - Each boutique café is uniquely decorated to suit "local" dinners.